The Johns Hopkins Kimmel Cancer Center scientists, who developed the test and led the study, say the results, if confirmed in more studies, suggest that the DNA detector, called cMethDNA, could be widely used to identify breast cancers at higher risk for recurrence and track the success or failure of treatment. Results of the study were published online Nov. 21 in the Journal of Clinical Oncology. For the biomarker study, the Johns Hopkins scientists prospectively analyzed blood samples collected from 141 women with advanced breast cancer (cancer that had spread to other organs) who were beginning a new treatment at seven cancer centers in the U.S., including The Johns Hopkins Hospital. The scientists collected the samples at the start of therapy, four weeks later and when the women’s cancers were “restaged,” usually after 12 weeks. The cMethDNA test analyzes a filtered portion of the blood called serum, which contains proteins and genetic material, such as DNA, released by cells. The test searches for evidence of so-called hypermethylation, a type of chemical tag affixed to DNA in one or more of six breast cancer-specific genes. Biologically, hypermethylation often silences genes that keep runaway cell growth in check, and its appearance in the DNA code of breast cancer-related genes shed into the blood may indicate that a patient’s cancer growth is increasing and the disease has worsened. To figure out how well the test reflected disease trends, results of the blood tests were analyzed to look at two measures of survival: progression-free and overall survival over the study period. The scientists then used statistical models to evaluate the distribution of cancer-linked DNA in the patients’ blood samples over the seven-year study to find the largest degree of differences between patients with low and high levels of evidence of hypermethylation in their DNA. Because progression-free and overall survival are distinct outcomes, the cutoff value for women with high versus low levels of cancer DNA in their blood in relation with the outcome was different for progression-free and overall survival. Therefore, the absolute number of women with high and low levels of cancer DNA in their blood in the analysis of progression-free survival was different from that of the overall survival analysis. Among 128 of the 141 patients, the scientists found that the median progression-free survival of 71 patients identified with high levels of cancer DNA in their blood was 2.1 months, compared with 5.8 months for 57 patients with low levels. In 129 patients, median overall survival for 62 patients identified with high levels of cancer DNA in their blood was 12.3 months, compared with 21.7 for 67 patients with low levels. Median follow-up of the women in the study was 19.5 months (range 0.8-86.3 months). By the end of the seven-year study period, nearly all the women enrolled in the study had died of their metastatic cancer. “What we see is an association between shorter periods of progression-free survival and overall survival in patients whose blood has higher levels of hypermethylated DNA, and we can see this very early on, after just four weeks of treatment,” says Sara Sukumar, Ph.D., professor of oncology at the Johns Hopkins University School of Medicine and member of the Kimmel Cancer Center, who developed the test with Johns Hopkins scientist Mary Jo Fackler, Ph.D., and others. Visvanathan says the current study did not look at the blood test’s benefits with regard to specific anti-cancer therapies. 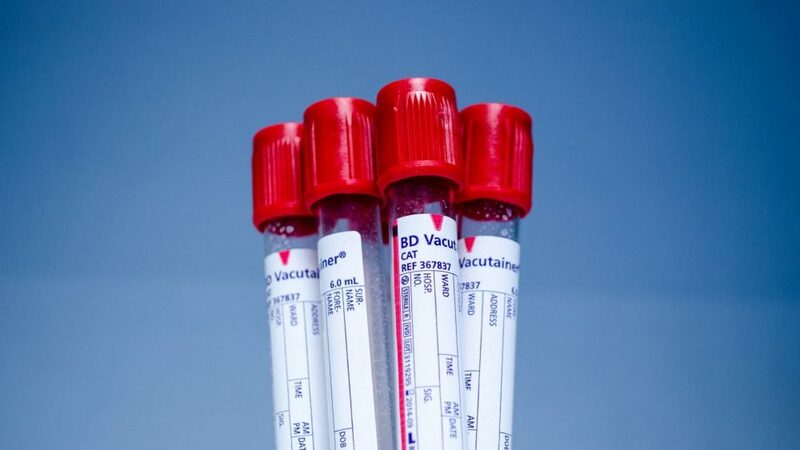 More research to determine the blood test’s predictive ability among women with earlier-stage disease is also underway, led by Antonio Wolff, M.D., professor of oncology at the Johns Hopkins University School of Medicine and member of the Kimmel Cancer Center, who also co-led the current study with Visvanathan and Sukumar. The research team estimates that verification and use of the new hypermethylation test is years away, and the cMethDNA assay is not yet available for general use. The National Cancer Institute estimates that there have been more than 246,000 new cases of breast cancer diagnosed this year. Approximately 6 percent of those women are diagnosed at an advanced stage, and some 26.3 percent of them survive beyond five years.